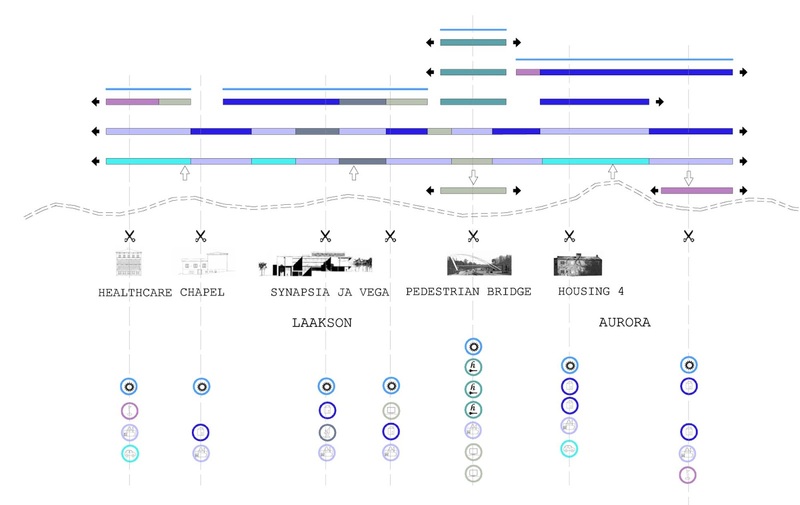 The aim of the proposal is getting a hybrid and self-sufficient territory in the city of Helsinki to complement the Laakson and Aurora areas. We understand the district as an activity center where private and community life are mixed and connected, defining new lifestyles and investing in community life. 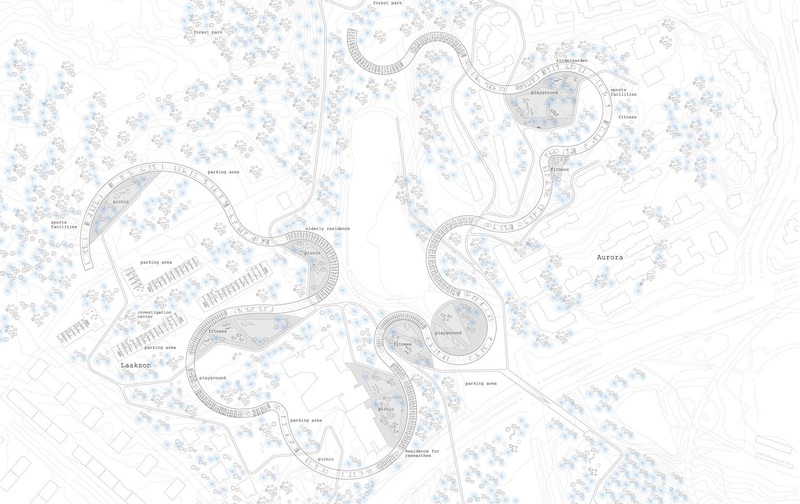 We proposed a new territory, an artificial landscape, an hybrid and fluent building, a sensorial covered promenade, that is connected and adapted to the environmental conditions of topography and forest and complements the preexisting buildings in addition to energize the social relations. 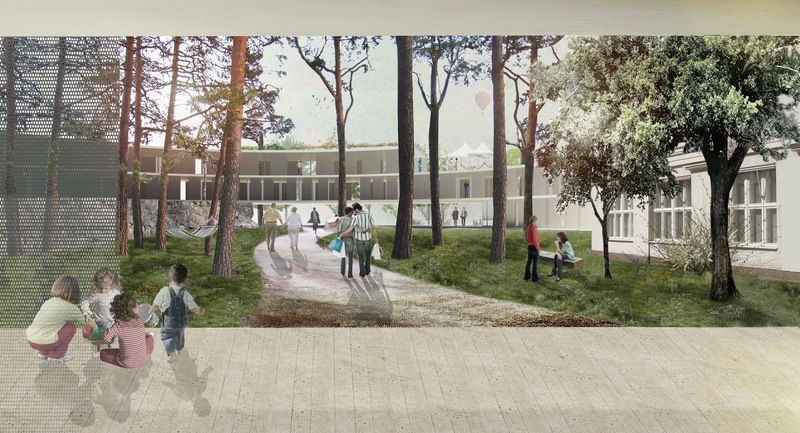 The residential program with offices, shopping, leisure, parking and investigation areas that support the health center will be mixed with the existing buildings in order to complement their housing and hospitals program, allowing them to recover their function and thereby creating multifunctional elements. 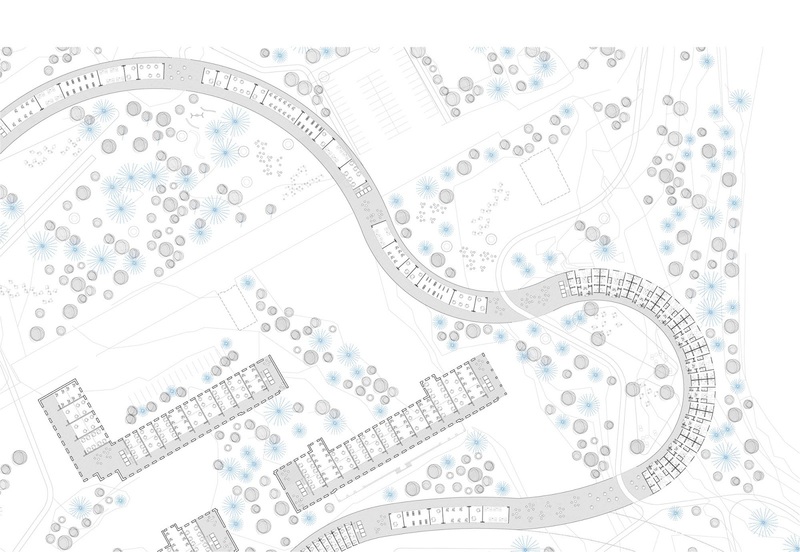 The project is developed through different ribbons that harmonize the new landscape. 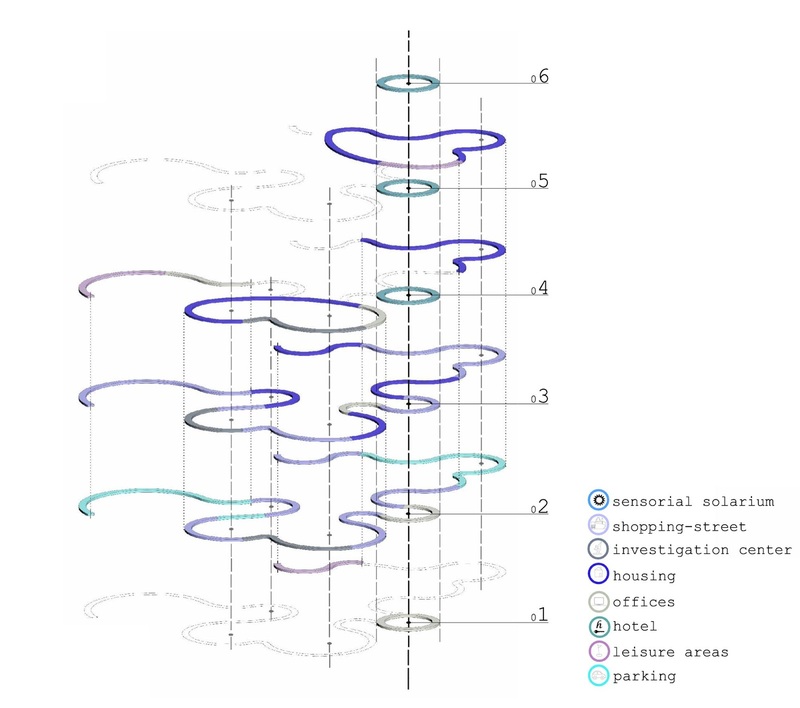 These ribbons are adapted to the topography and forest mass by going up or down in section. 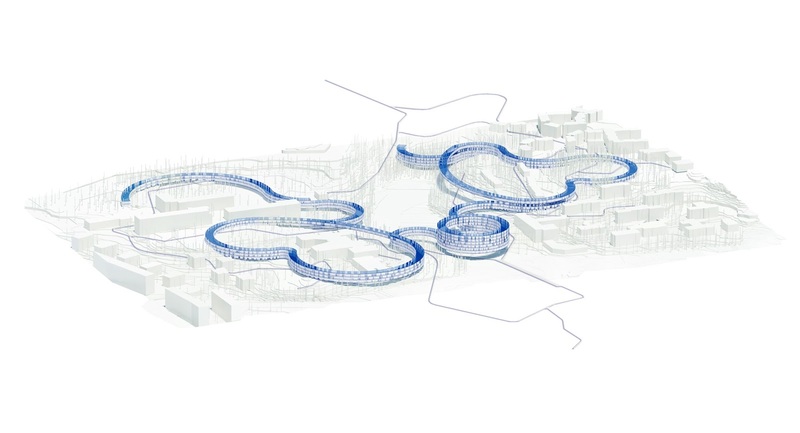 This idea also allows creating versatile accesses and generates a connection with the green park and sports facilities. 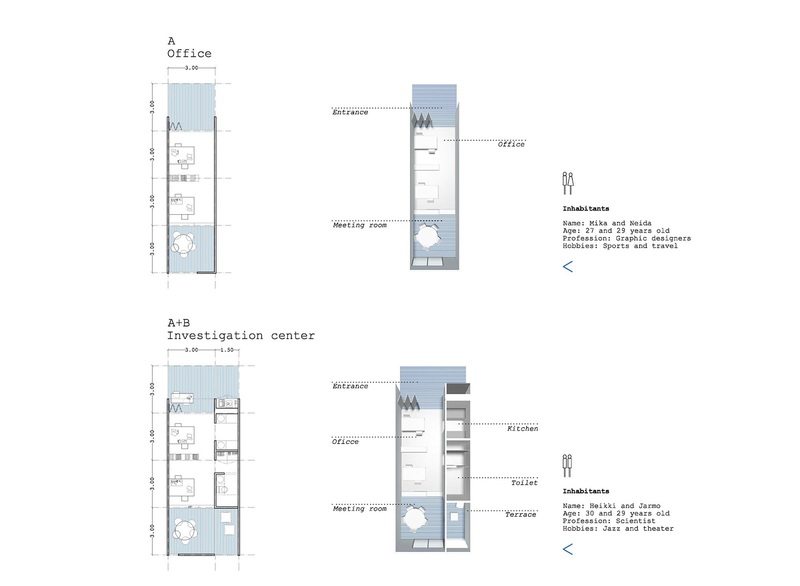 In order to unify the proposal we maintain two ribbons along the building, the shopping-street and the sensorial solarium. The shopping street ribbon is outdoor but with a cover, allowing an interaction between the inhabitant and the landscape. We create an enchanted promenade where nature and human being are connected. Emphasizing the replaceability and thanks to its longitudinal flexibility system of interchangeable programs, these two ribbons are complemented with a third or fourth use according to the program needs. 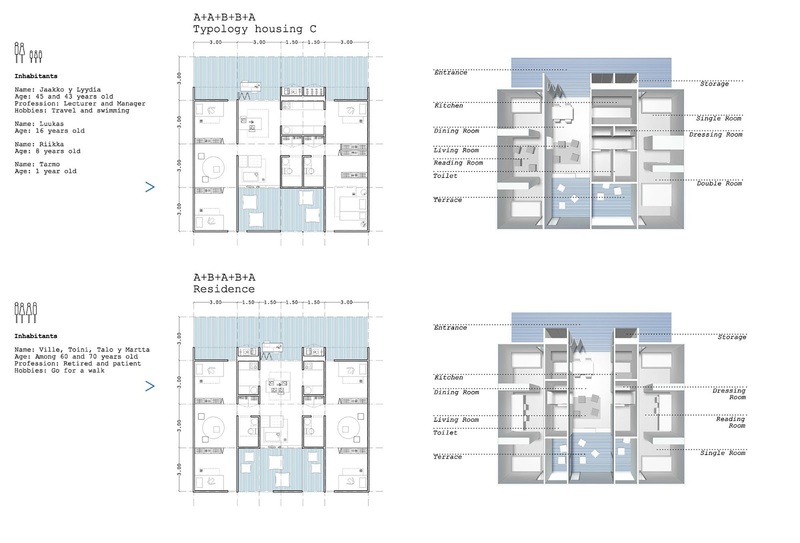 We assume that different cycles will take place during the process of development and construction of the proposal due to we live in a highly vulnerable society. For this reason we outline to build the proposal in three different phases. 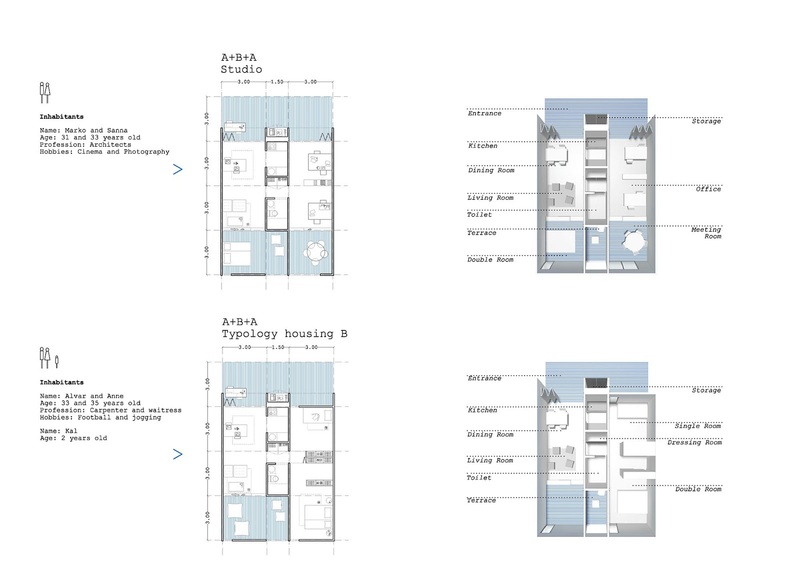 The building will grow intelligently according to the society needs and it will be able to be adapted during these periods of time. The housing access is produced through a corridor which is reached from the shopping-street by stairs cases and elevators. This corridor works as an open high street with public spaces such as WiFi areas, playground, gym, laundry, cafe and reading area. 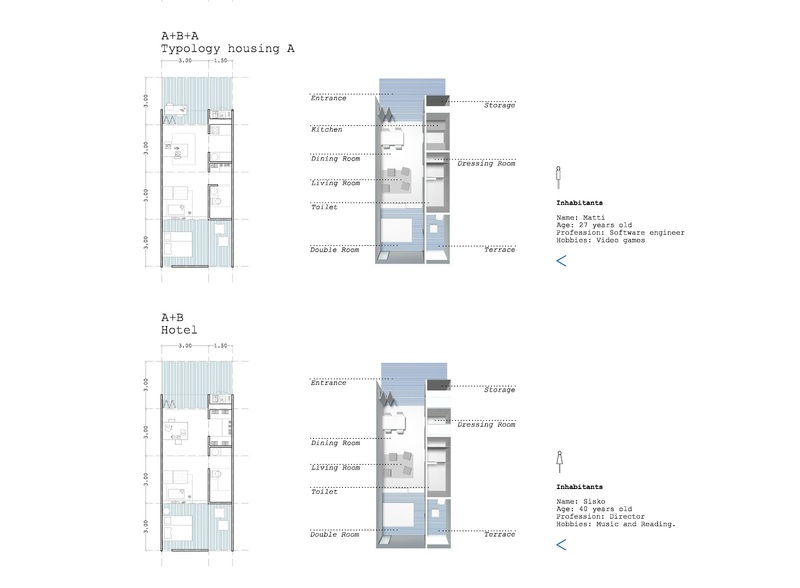 All the dwelling typologies are composed by varying the number and position of the standard modules A and B. Module A (12x3x3,3) consists on the living spaces, while module B (12x1.5x2.5) keeps the service areas, toilets and storage.